The 2kg groundbaits are packed full of quality ingredients and offer fantastic value for money. Two of the best fish attractors, Marine Halibut and Frenzied Hemp have been combined to create a brilliantly versatile groundbait mix. 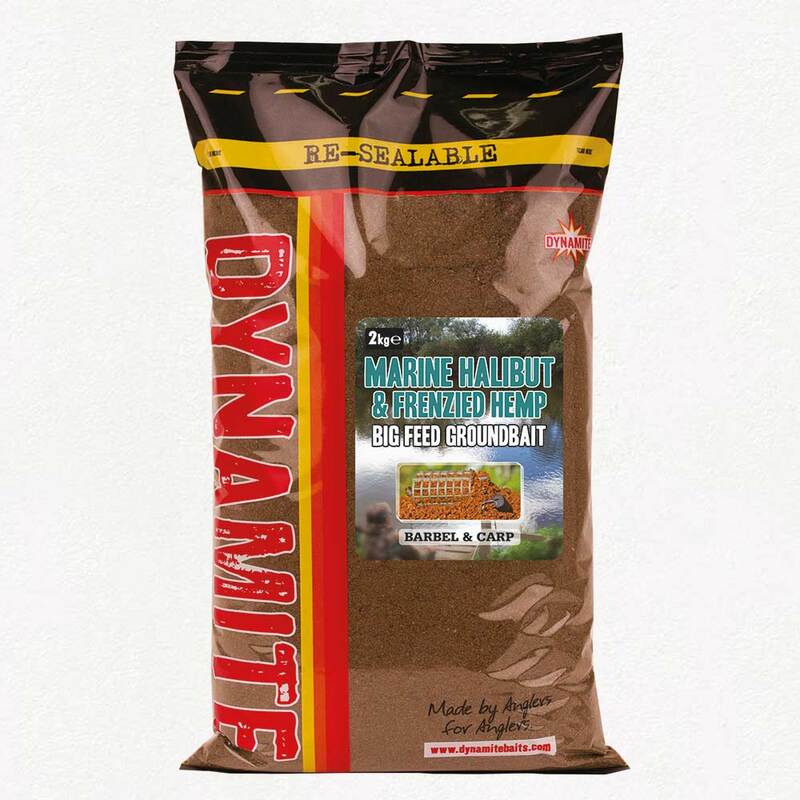 Perfect for carp and barbel feeder fishing its packed with crushed hempseed and our Marine Halibut Pellets. Whether your targeting barbel on the river and want to put of bed of bait down or need a groundbait to build your stick mix around carp fishing this groundbait is reliable no matter what your target.